Donald Adams Greenwood (February 18, 1921 – March 21, 1983) was a professional American football fullback and halfback who played three seasons for the Cleveland Rams and Cleveland Browns in the National Football League (NFL) and All-America Football Conference (AAFC). Greenwood played college football at the University of Missouri and the University of Illinois, where he starred as a halfback, punter and quarterback. His first year in professional football was with the NFL's Rams in 1945, when the team won the NFL championship. The Rams moved to Los Angeles after that year, however, and Greenwood elected to stay in Cleveland, where a new team called the Cleveland Browns was under formation in the AAFC. He played two seasons for the Browns, during both of which the team won the league championship. Greenwood was plagued by injuries in 1946, and in 1947 he suffered a debilitating cheekbone fracture that ended his professional career. After retiring, he worked as a high school coach in Ohio and briefly as an assistant at Yale University. He then became the head football coach at Toledo University in Toledo, Ohio, but resigned from that position in 1951, saying the school had not done enough to counteract unnecessary violence in the game. Greenwood grew up in Kansas City, Missouri and attended Southwest High School. He played on the school's football team but was more accomplished as a track athlete. He won the Missouri state championship in 1938 by running the 100-yard dash in 10 seconds. In 1939, he was a member of an 880-yard relay team that won state and national championships. After graduating from high school, Greenwood enrolled at the University of Missouri in 1940 and played on the school's football team as a halfback who doubled as a punter. He also continued to run track, and set a school record of 6.2 seconds in the 60-yard dash. In football, Greenwood became a star on strong Missouri teams in 1941 and 1942. The Missouri Tigers football team ended the 1941 season with an 8–2 record under head coach Don Faurot, winning the Missouri Valley Intercollegiate Athletic Association (Big Six) title and advancing to the Sugar Bowl against Fordham. Missouri lost the game after a punt by Greenwood in the first period was blocked, leading to a safety. The final score of the game, played on a muddy field, was 2–0. Greenwood entered the United States Army Air Corps in 1942 to serve in World War II, but he got a medical discharge in 1943 after he was injured in a plane crash. After leaving the air corps, Greenwood enrolled at the University of Illinois and played in 1943 and 1944 for the Illinois Fighting Illini football team. He played quarterback at Illinois, and threw five touchdowns in 1943. He played in an October 1944 game against a military team at Great Lakes Naval Training Station coached by Paul Brown that ended in a 26–26 tie. Greenwood also played baseball in college, mostly as a pitcher starting as a sophomore at Missouri in 1941. In his final year at Illinois he batted .415 against Big Ten Conference teams. He ultimately decided that he had better chances as a football player. Greenwood went undrafted in 1944 but signed late that year with the National Football League's Cleveland Rams. He came to Cleveland before the 1945 season and began an off-season job at Thompson Products Company in its engineering department. His college degree was in psychology, and he hoped to switch to personnel work. He also worked as an assistant to Edward McKeever at Cornell University before the season started. With the Rams, Greenwood was part of a potent offense led by quarterback Bob Waterfield. The team won the 1945 NFL Championship Game by a score of 15–14 in frigid conditions at Cleveland Municipal Stadium. Owner Dan Reeves moved the Rams to Los Angeles after the 1945 season, and Greenwood decided to stay in Cleveland and play for the Cleveland Browns, a team under formation in the new All-America Football Conference (AAFC) and coached by Paul Brown. He was still under contract with the Rams, but he signed with the Browns after successfully arguing along with several other Rams players that he was not legally bound to play for a team not based in Cleveland. Before the 1946 season started, Greenwood was working in the personnel department of A.W. Hecker Company. He left the company, however, to take a job as the track coach at Western Reserve University in Cleveland. The Browns won the AAFC championship in 1946, and Greenwood tied as the league's touchdown leader with six. 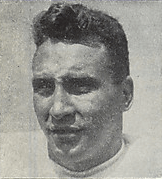 Greenwood, who played halfback both on offense and defense, was plagued by injuries late in 1946 and into 1947. He had a broken cheekbone in 1947 that put him in the hospital for two weeks and kept him on the sidelines as the Browns won another AAFC championship. After the 1947 season, Greenwood announced his retirement from football due to his cheekbone injury and accepted a job as head football coach at Cuyahoga Falls High School in Cuyahoga Falls, Ohio. Greenwood was hired as an assistant coach at Yale University in 1949. By 1951, he was the football coach at Toledo University in Toledo, Ohio. But he left that post the same year in protest of "rough play" during a game between Toledo and Bowling Green State University. He said football should be discontinued at the school until players could be protected and their safety ensured. He said he would give up coaching until the "accent on win at any cost is abolished". The cheekbone injury he sustained in an "uncalled for collision" in a 1947 game against the San Francisco 49ers helped prompt his decision, he said. He had three operations on the injury, and it had not completely healed. 1 2 3 4 5 6 Heaton, Charles (March 9, 1946). "Don Greenwood Named Coach Of Track At W.R.U.". Cleveland Plain Dealer. p. 14. ↑ "Christman Leads M.U. To 21-6 Win Over Colorado U.". St. Joseph News-Press. Associated Press. November 10, 1940. p. 16A. Retrieved August 1, 2012. ↑ "Big Six Waiting for Next Year; Several Teams Will Be Strong". The Milwaukee Journal. United Press. November 26, 1940. p. 2. Retrieved August 1, 2012. ↑ "Faurot Drills To Check Rams Heavy Offense". St. Joseph Gazette. December 15, 1941. p. 5. Retrieved August 1, 2012. 1 2 Claasen, Harold (January 2, 1942). "New Year's Bowl Games Featured By Free Scoring; Fordham, Oregon State Win". Gettysburg Times. Associated Press. p. 3. Retrieved August 1, 2012. ↑ "Missouri Yearly Results". College Football Data Warehouse. Archived from the original on October 6, 2012. Retrieved August 25, 2012. 1 2 "Greenwood of Illinois Signs Ram Contract". Cleveland Plain Dealer. December 22, 1944. p. 16. Greenwood is 23 and has a medical discharge from the army air corps. He played two seasons as an end at the University of Missouri in 1940 and 1941, and was in the service during the 1942 campaign. After his discharge, he entered Illinois and starred for two years as the quarterback in Coach Ray Eliot's T formation. He also gained experience in the T system under Coach Don Faurot at Missouri. Overlooked in the National League's 'draft' of college players, Greenwood was a 'free agent' and several league clubs were bidding for his services. Coach Buff Donelli of the Rams went to Champaign and persuaded him that Cleveland was the place to begin his pro football. ↑ Hughes, Carl (October 20, 1944). "Injuries Hit Panthers on Eve of Battle". The Pittsburgh Press. p. 36. Retrieved August 1, 2012. ↑ "Camp Grant Conquers Illinois". The Sunday Morning Star. September 12, 1943. p. 26. Retrieved August 1, 2012. ↑ "Illini Backs Fast; Opener On Sunday". Youngstown Vindicator. United Press. September 15, 1944. p. 18. Retrieved August 1, 2012. ↑ "Illinois' Rally Ties Great Lakes, 26-26". St. Petersburg Times. Associated Press. October 1, 1944. p. 21. Retrieved August 1, 2012. 1 2 3 4 Henahan, John (May 5, 1945). "Greenwood, Ram Grid Hope, Plays for Factory's in 'A' Opener". Cleveland Plain Dealer. p. 11. Greenwood, who played two seasons of football at Illinois after receiving a medical discharge from the army air force when he was injured in a plane crackup, will make his debut with George Sherlock's squad in the 'A' race which opens tomorrow afternoon. Although he has pitched most of his baseball career, the versatile husky will start in the outfield when the Factory's tackle the Bishop Meats at Brookside Stadium. 1 2 "Greenwood Gets Falls Grid Post". Cleveland Plain Dealer. January 24, 1948. p. 15. The 25-year-old Greenwood, who announced his retirement from the professional football ranks after a severe cheek bone injury last fall, replaces Carl Spessard now athletic director at the Falls. ... This will be Greenwood's first full time coaching spot although he assisted Ed McKeever at Cornell in the spring of 1945 and in 1946 tutored the Reserve track team. ↑ Dietrich, John (December 17, 1945). "Rams Win World Pro Grid Crown, 15 to 14". Cleveland Plain Dealer. pp. 1, 20. 1 2 Piascik 2007, p. 26. ↑ Sauerbrei, Harold (November 20, 1947). "Terrell Bids to Regain Old Berth With Browns". Cleveland Plain Dealer. p. 25. The Browns' halfback situation is acute at the moment. Greenwood will spend two weeks at St. Vincent's Hospital with his fractured cheek bone. ... If Terrell is signed, it will be necessary for Brown to place a player on the retired list to stay within the league's 35-man limit. That player probably will be Greenwood, although Brown wants to be absolutely certain his defensive ace will not be available for the playoff. The Cleveland coach has not been definitely informed Greenwood is out for the rest of the season, but said he would hesitate using Don even if the doctors approved. ↑ "Yale Signs Former Illini Quarterback As Grid Assistant". Christian Science Monitor. June 21, 1949. 1 2 "Toledo Names Dunn to Succeed Greenwood". Cleveland Plain Dealer. Associated Press. November 2, 1951. p. 23.